Some breeders and breed enthusiasts insist that dogs without hair, with short fur, with hair instead of fur or of a specific breed are hypoallergenic dogs. Unfortunately, research funded by the National Institute of Allergy and Infectious Diseases has shown that most of these claims are simply false. The researchers visited 173 single dog homes in Detroit. Once inside, they vacuumed the home’s floors, looking for bits of the stuff that makes people with dog allergies sneeze: canis familiaris 1, a protein found in the dog’s saliva. 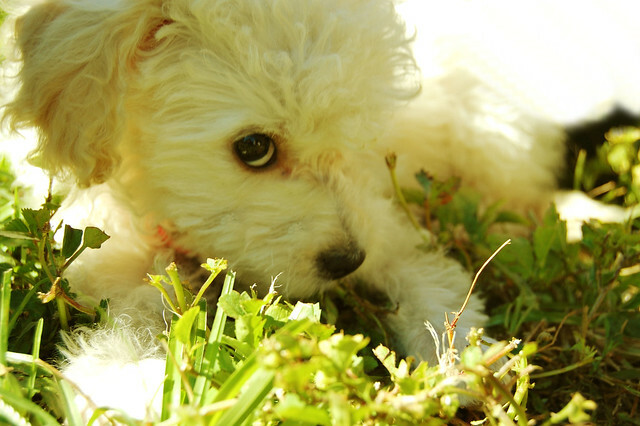 Working off of popular rumors, the study was sure to include “hypoallergenic” breeds such as poodles, shih tzus, terriers and even labradoodles. The dogs with breeds commonly claimed to be hypoallergenic had the exact same levels of allergens of other dogs, both purebred and mutts. What the researchers did find was that dogs that have been spayed or neutered had homes with higher allergen levels than unaltered dogs. Homes with tile and wood had less allergens than those with carpets. Even homes with outdoor only dogs had allergens in the home, but the levels were less than homes with indoor/outdoor dogs. Half of homes without dogs at all have the allergen, likely due to previous tenants having dogs.